Very Good. A fully revised edition of the classic guide to negotiation providing brand-new perspectives and skills for succeeding in today's competitive business landscape. Trade paperback (US). Glued binding. 272 p. Contains: Illustrations. New. 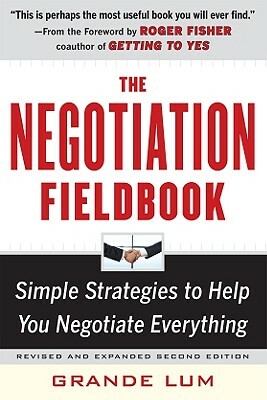 A fully revised edition of the classic guide to negotiation providing brand-new perspectives and skills for succeeding in today's competitive business landscape Num Pages: 272 pages, ill. BIC Classification: KJN. Category: (P) Professional & Vocational. Dimension: 227 x 151 x 18. Weight in Grams: 366. 2010. 2nd Edition. Paperback.....We ship daily from our Bookshop. New. Trade paperback (US). Glued binding. 272 p. Contains: Illustrations.